I made a lot of cookies growing up. My dad often mentioned Ice Box Cookies, but for some reason, I don’t remember ever making them. I suppose I thought they must be difficult to make since they were something my grandmother made. I knew she was a good cook, so I must have assumed they would be too difficult for me if she made them a lot. 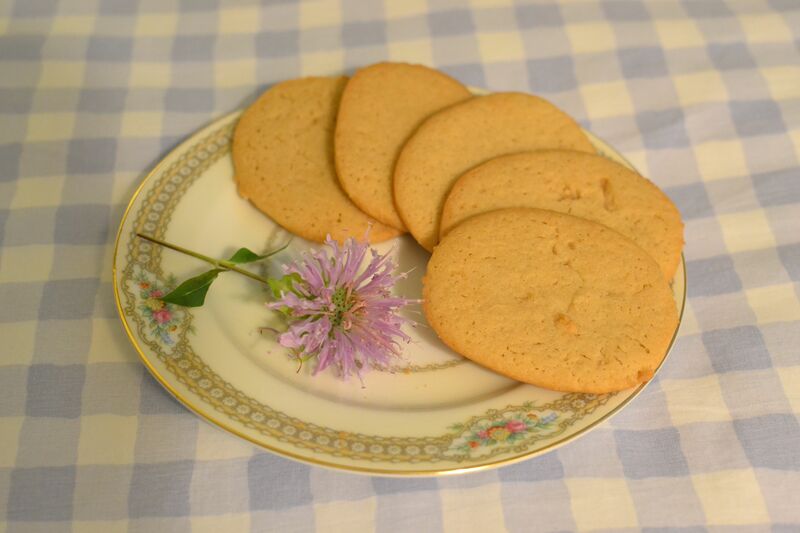 So, when I decided to try Ice Box Cookies, I was pleasantly surprised to find they were simple to make and tasted as good as my dad had described. I found the recipe for Ice Box Cookies in my mom’s recipe box. I could tell that it was one of the recipes she had copied down, probably as my grandmother quoted the ingredients from memory. There was not a lot of detail in the instructions (as has been the case in many of these recipes). Form in rolls. Place in ice-box for 24 hours. Slice thin, and bake in 400 degree oven on greased tin. I creamed the shortening and brown sugar, then added the eggs and mixed well. I then added the dry ingredients. My dad said his mom always made them without the nuts because he didn’t like nuts. So, I decided to make them this way. (Although, I think the nuts would be a nice addition.) I also made a half recipe because as my sister said, “With all these dessert recipes we are trying, we’re going to have to go on a family wide, major exercise plan!” I formed the dough into a roll. I asked my dad about how big around it should be and he held up his hands to show me a size of about 3 inches in diameter. It was quite soft when I wrapped it in saran wrap and put it in the refrigerator. However, when the 24 hours were up, I found the dough was very firm and sliced easily with a sharp knife. The recipe said 400 degrees, but didn’t indicate a time. For the first tray, I tried five minutes, but found that they were too brown. I turned the heat down to 375 degrees and at that temperature I found that five to seven minutes was just right for these thin and tasty cookies. I also found a recipe in the box for peanut butter ice box cookies. I haven’t tried these yet, but thought I’d share the recipe in case you are a peanut butter lover. It doesn’t have any directions, just a list of ingredients. But, I’m sure you can make them the same way you would make the other recipe. I like ice box cookies because you can make up the dough one day, put them in the refrigerator, and then take them out the next day and bake. It was a very simple recipe and everyone in the family liked them. I hope your family enjoys them as well. 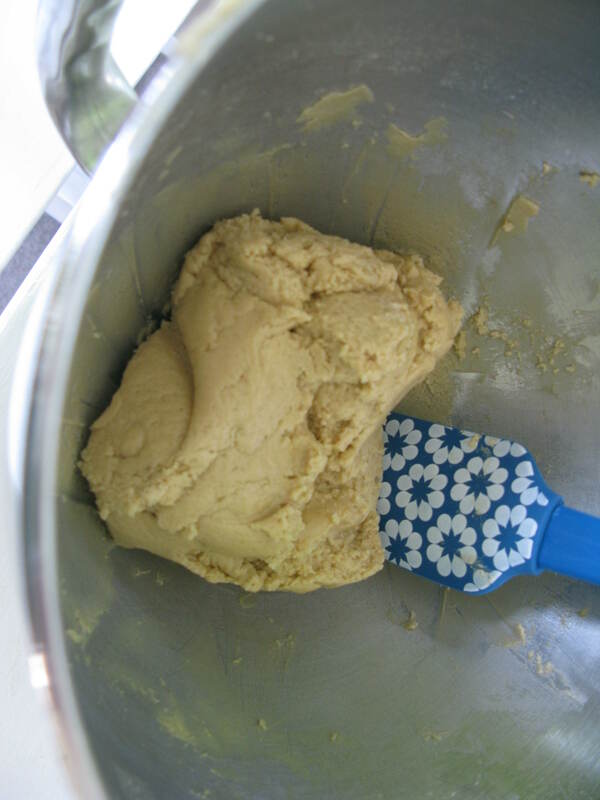 This entry was posted in Cookies and tagged baking, Cookies, farm cooking, grandma's cooking, homemade, Refrigerator Cookies, scratch cooking, Summer dessert by GrandmothersRecipeBox. Bookmark the permalink.